Google Retires Google Affiliate Network (GAN) finally with a brief email to the advertisers and publishers with the deadline scheduled on July 31, 2013. The end of Google Affiliate Network was probably calculated by many users – one can not blame the third party affiliate link ad driven websites and run an Affiliate Network of their own. Furthermore, recently Google has ‘discovered’ that the Publishers are the key to their business. Google has a tendency to keep the average publishers under a pressure. Recent few announcements for changing few policies of Google AdSense, inclining towards the publishers clearly indicating – their expected trend of revenue can rise more from Publishers’ source than from Search Engine itself. The selection process of ‘good authors’ actually started in different way via Google Plus. Google Affiliate Network (GAN) was a kind of glitch that Google neither can engulf, nor was able to cough out – it was Google who bought Google Affiliate Network under its former name Doubleclick Performics, just in 2008. The product immediately were split in to two parts – Google Affiliate Network and Doubleclick. Doubleclick itself got two clear divisions, the logins are fully different for two units. What is the actual model of Google Affiliate Network or any Affiliate Network ? Place one Advertiser’s Ad – if the visitor performs a desired action; the advertiser will be charged and the publisher who is placing the Ad will earn money. One Click Makes Money for AdWords. Why to promote an alternative system that can increase the clicks towards the website but no charge is actually made or if made its less. It is a solid loss for both the Publishers group through AdSense and directly via AdWords. Most importantly, the way to make the automated bidding in AdWords becomes handicap. As we said at the beginning – recently Google has ‘discovered’ that the Publishers are the key to their business. 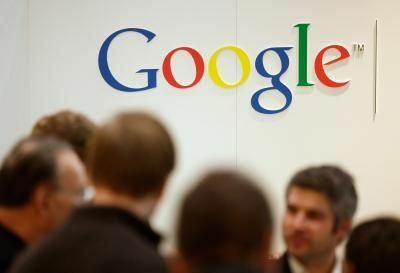 Google’s work is to convert a portion of the Publishers to Advertisers too. Google’s main profit is from Advertising. Declaring ‘personal’ support for average AdSense publishers. $25 / week AdSense revenue is less than anything serious. Google Inc. basically wants to run a fair business, otherwise it was not possible to rank #1 with a keyword in Google search, organically. Google Inc. did a very positive step by retiring Google Affiliate Network (GAN) from business point of view. This Article Has Been Shared 3011 Times! Cite this article as: Abhishek Ghosh, "Google Retires Google Affiliate Network (GAN)," in The Customize Windows, April 18, 2013, April 19, 2019, https://thecustomizewindows.com/2013/04/google-retires-google-affiliate-network-gan/.